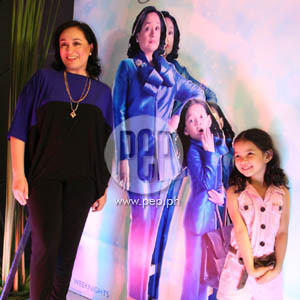 Coney Reyes and Xyriel Manabat star in the inspirational drama 100 Days to Heaven, which currently leads the primetime race nationwide. 100 Days to Heaven emerged on top in the highly contested primetime race for the May 24 to 26 period of Kantar Media’s overnight ratings among National households. This inspirational drama was closely followed by fellow ABS-CBN primetime soaps Minsan Lang Kita Iibigin and Mara Clara. TV Patrol, Mula Sa Puso, and Green Rose—also from the Kapamilya network—are all in top form. GMA-7’s campaign, on the other hand, is kept alive by 24 Oras, Munting Heredera, Captain Barbell, and Magic Palayok. If the primetime race is clearly dominated by ABS-CBN, daytime, on the other hand, is ruled by GMA-7. Tempatation of Wife and Eat Bulaga! share leadership, while other Kapuso shows also do very well.